If you or a family member has suffered a brain injury, it’s time to fight back. Normally I’m not as aggressive as I am right now, but after hearing so many people opting not to look for compensation out of a desire not to look “greedy”, I felt that it was time to actually step back and say something. You might not like being talked to this way, and I definitely apologize. All I’m really trying to get you to see is how important this topic is. First and foremost, you’re never going to be “greedy” just because you’re looking for compensation. If something isn’t your fault, it just isn’t. If your child has injured at birth and now has a brain issue of some sort, it’s time to make sure that the hospital is held accountable. The only way to get a business’s attention is to cost them money. That might sound jaded and sarcastic, but it’s really true. If they don’t feel any impact to the bottom line, they’re not going to change anything. 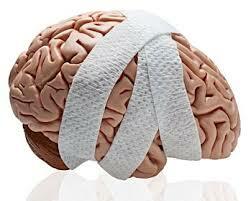 You might have a doctor that could have done more to prevent the brain injury from occur. Or you might have gotten hurt in a motorbike accident. There are a lot of ways to develop brain injuries. But if you’re going to get compensated for your trouble, you want to learn how to make that happen. First and foremost, understand that “compensation” comes in many different forms. You can be compensated for your medical expenses, your lost income, childcare expenses that you wouldn’t have had otherwise, and of course for your pain and suffering. It can be hard to allow someone to put an amount of how much pain you’ve suffered, but this is very important. With something like a brain injury, you can definitely expect your case to garner some attention. They will probably want to make a settlement offer with you. Make sure that you’re getting a lawyer before you just agree to anything. It’s better to get a solicitor in advance to help because you want a legal advocate on your side as much as possible. If you’re not the person that was injured, then it’s even more the case to speak up for them. You want to make sure that they have the best presentation possible. Don’t try to make all of the negotiations on your own. The subject of law in this category is too complicated for a regular person to just negotiate their own offer. Now, I know that there are sites out there that disagree with me. That’s perfectly fine. However, I would prefer not to gamble with something as precious to me as the health and safety of my family. I can’t replace them, nor can I take back time stolen from me that could have gone to enjoying my family to the fullest. If you want to take risks, you have my permission to do that. On the other hand, if you want to make sure that you’re getting the presentation that you need, make sure that you get a lawyer as soon as possible. One of the top things that the lawyer will ask for is definitely a recounting of the events. If you have a written report, then this is even better. You should ideally give your written statement as soon after the accident as possible. If you can’t do that, then you’ll have to go off of whatever facts were collected. Getting your hospital file ahead of time in the case of medical negligence never hurts either. While I would like to believe that everyone I meet is honest, there are times where people will do anything to keep from getting themselves into deeper troubles. You have to keep that in mind when you’re trying to pursue compensation. Just because the “other side” might be friendly doesn’t mean that you get to let your guard down. Good luck with your case, if you choose to pursue it. Remember that you don’t have to hide away just because you don’t have money upfront to handle the personal injury case as it stands. Most lawyers will work things out on a contingency agreement. This means that if you don’t win, there’s no fee. If you do win, they’ll take it out of the compensation agreement. This means that now is the perfect time to really ensure that you’re fighting for the rights of yourself as well as your family. Good luck!